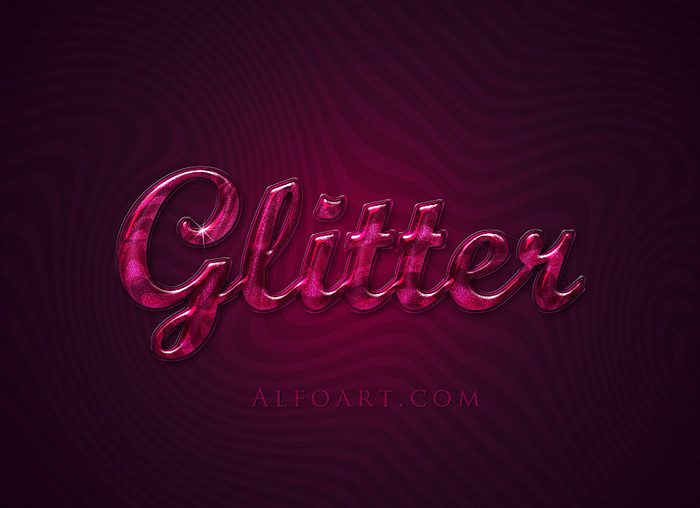 "Extremely glossy and shiny text effect. PSD file is available to download." 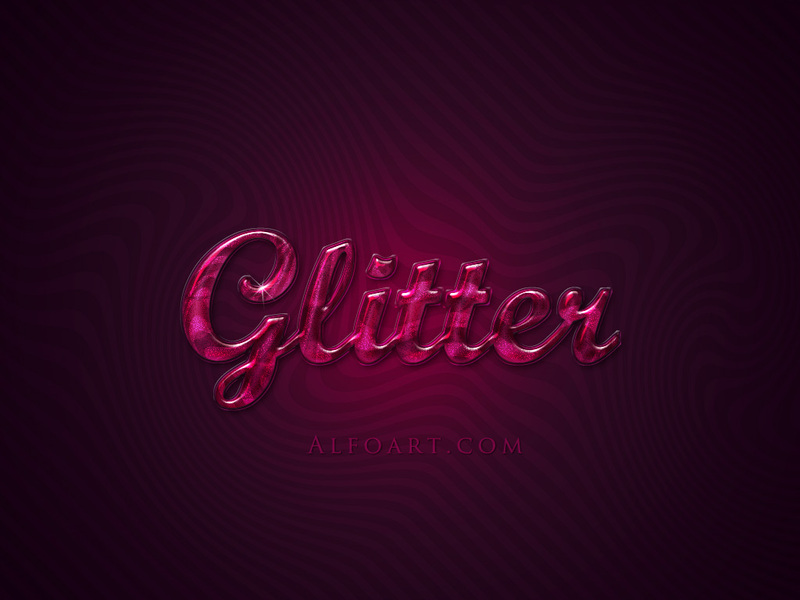 In this Photoshop tutorial, we’re going to see how to create extremely glossy and shiny text effect with glitter texture. We will use simple techniques blending and layer style effects. The psd file and pattern are attached. You may find free psd file below. Download source - Glossy text effect PSD file. License and Attribution:This file is licensed under the Creative Commons license. Attribution is required and always appreciated. Thanks. Create a new Photoshop document 1024*768 px, resolution 72px/inch. Layer style setting are working correctly just for 220 pt font size(240 pt for the first letter). If you use different font, play with adjustments. 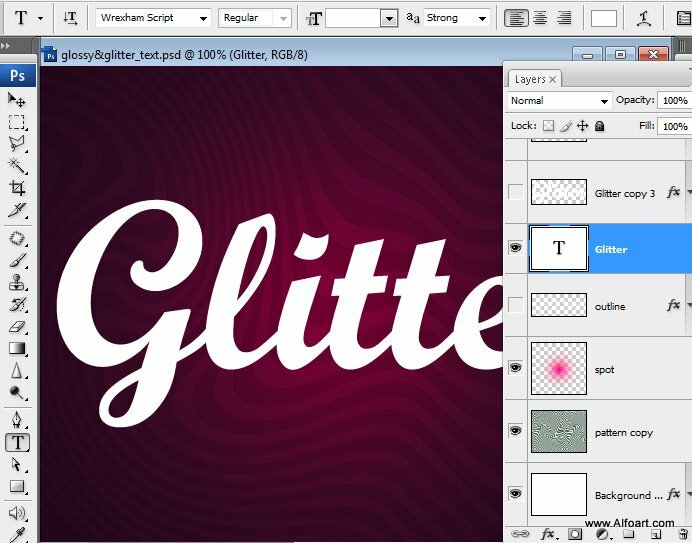 You can change the final image size without losing effects after merging of all layers. 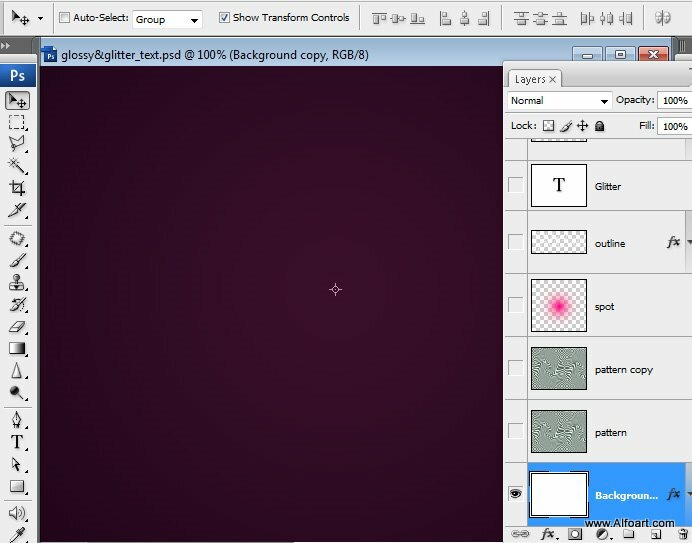 To create background, fill the first layer with any color. Apply following Radial Gradient Overlay effect to this layer. 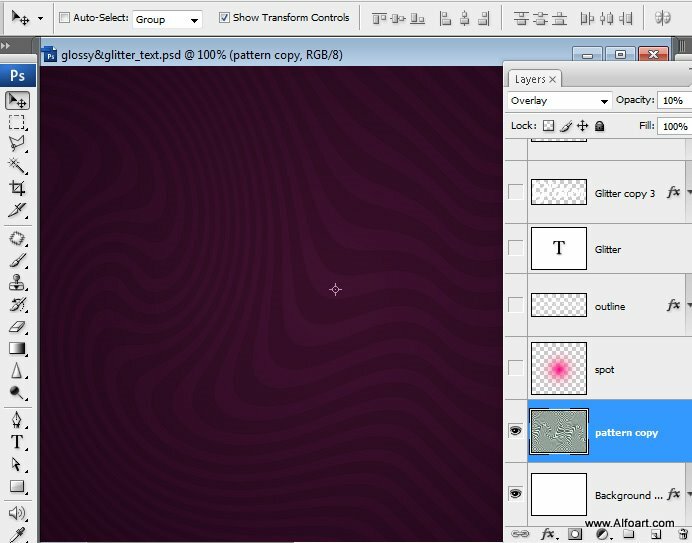 Create a new empty layer above gradient background, place lines pattern. 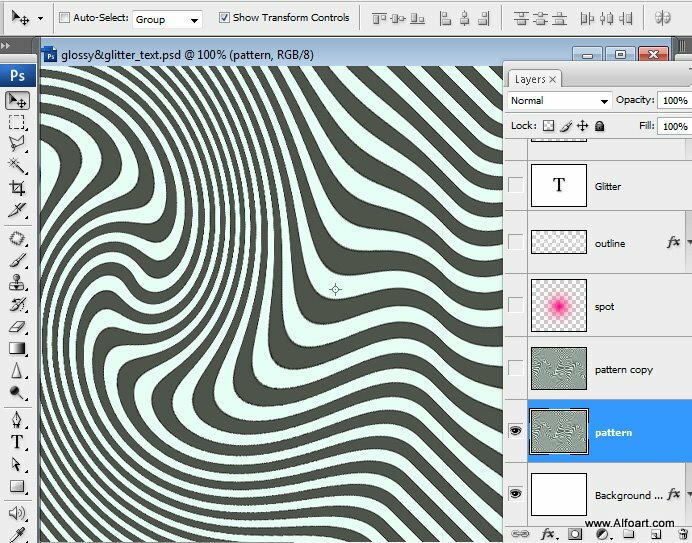 You may create it yourself, just fill the new layer with diagonal lines pattern and apply Filter > Distort > Twirl > 200 ° . 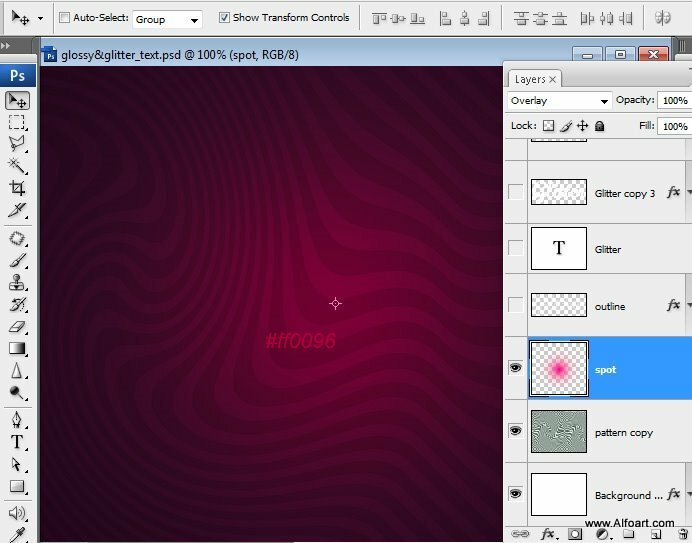 Apply Overlay Blending Mode to pattern layer and Opacity 10%. 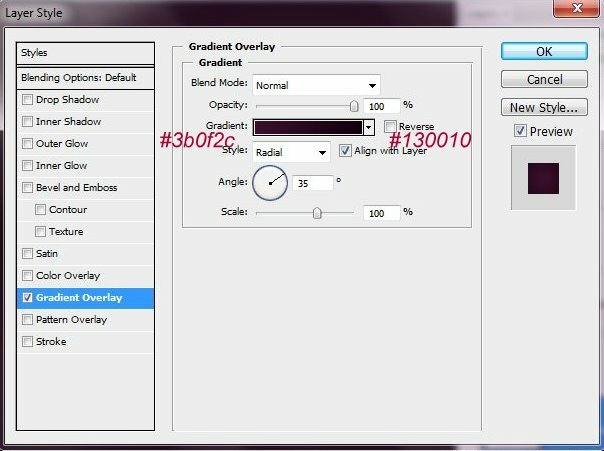 Create a new empty layer and draw a large spot #ff0096 color using soft round brush with diameter 500 px in the center of composition. Type the text, I've used Wrexham Script font, font size 220 pt and 240 pt for the first letter. Load selection for the text layer - Menu > Select > Load selection. Make text layer invisible. Keep selection, create a ne empty layer, go to Menu > Edit > Stroke. 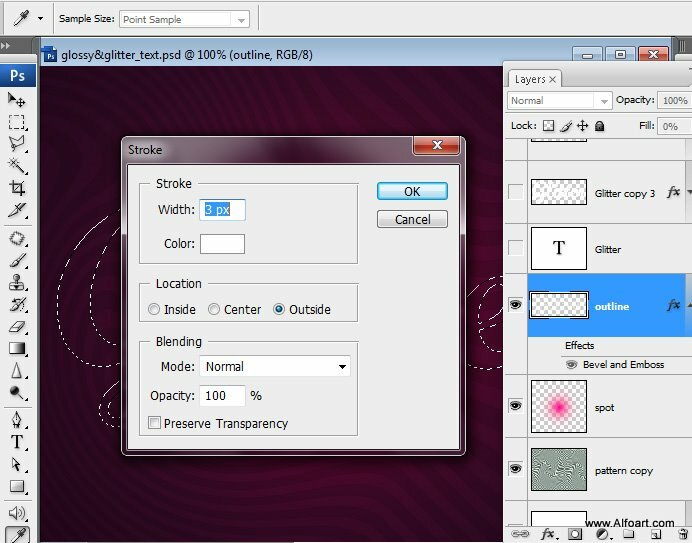 Create 3 px width outside stroke.